It is one of the attractions for those who are interested to have a close view of high mountain peaks. During one hours flight will take one to the camera range of some high peaks and one will be able to take photographs of the peaks. Many peaks such as Mt. Sagarmatha (8,848 meters), the highest peak of the world, and a beautiful landscape of the Himalayan region can be seen at a close distance. Coming close to the highest peaks of the world will give one a different feeling. Mountain flights are especially recommended for those visitors who have no time to go for trekking and mountaineering. Only awe-stricken silence can come close to matching the experience of going on mountain flight to encounter the tallest mountains of this earth. No wonder mountain fly-bys have become a popular tourist attraction in Nepal. 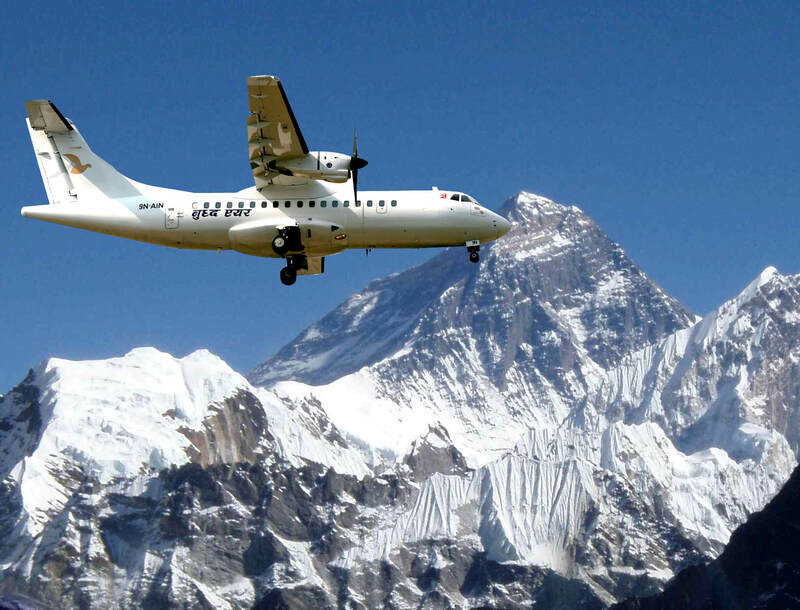 Four airlines offer regular forages into the snow-capped peaks of the Himalaya. Mountain flight appeals to all categories of travelers. For those who are restricted by time or other consideration from going trekking, these flights offer a panoramic view of the Himalaya in just one hour. Even those visitors who like rigors of trek still dont miss the opportunity to conquerthe mountain in one fell swoop. Travelers take off from Kathmandu in the early morning for an hours worth of spectacular mountain scenery. As the aircraft lifts up and heads towards the east, passengers dont have to wait too long to find out whats in the store for them. There they are the mountains, as they always have been.